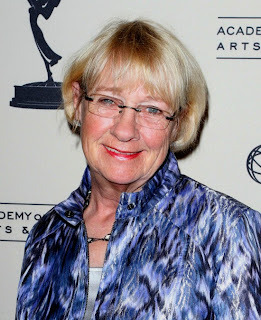 Kathryn Joosten who was popularly known as nosy neighbour 'Karen Mcklusky' in the popular 'Desperate Housewives' TV series is dead. She died after a long battle with Lung Cancer at the age of 72. Her death is coming 3 weeks after the Desperate Housewives finale. Some of her other TV appearances were "West wing", "Scrubs," "Joan of Arcadia," "My Name Is Earl," "General Hospital" and "Dharma & Greg." I really liked her role in Desperate Housewives, she was funny and annoying + she made me laugh too. oh!i loved her so much.may her soul rest in peace.